As we all know, Windows is the most widely used OS on personal computers. But there are times when you may need to reinstall Windows. After reinstalling Windows, you may realize that some crucial files are no more available. This is where the need for data recovery arises. 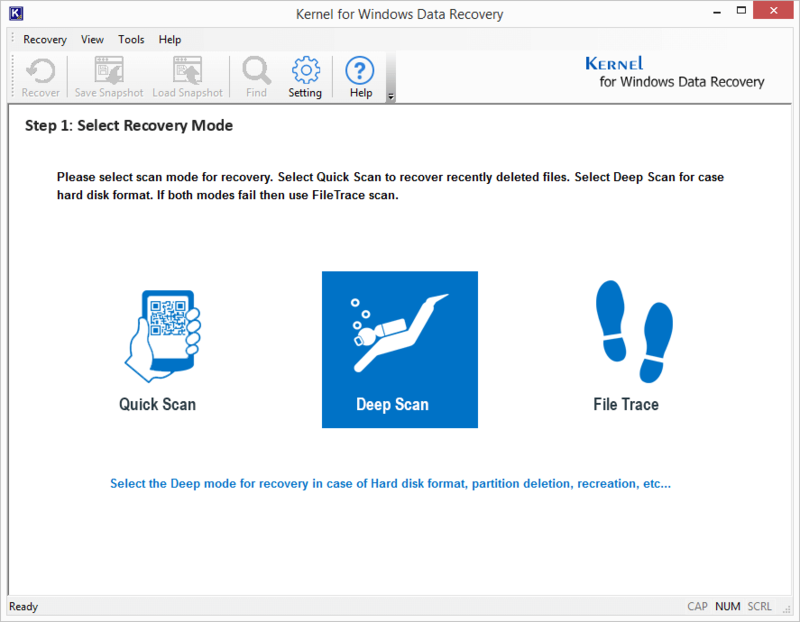 We have several proven ways to recover data after reinstalling Windows OS. Installation or un-installation of any software program causing a startup problem. Due to any of the reasons mentioned above, you may need to reinstall Windows. But, most of the time it has been noticed that Windows reinstallation leads to data loss. This is because when you reinstall Windows on a computer, it asks you if you want to format the hard disk to create new partitions or want to reinstall Windows on any one of the available volume/partitions. In case, you format the hard disk, create new partitions, and reinstall Windows, then data available on hard disk gets deleted. On the other hand, if you do not format the hard disk, then you are prompted to select an available hard disk partition on which you want to install the Windows. Now, you should carefully select the hard disk partition because if you select the partition on which your important data is saved, then all your data will be lost. If you have selected the wrong partition or have formatted the entire hard disk, then also do not worry about your data. Because you can still get your data back provided you did not save more data on the hard disk after Windows reinstallation. Data will be lost only from the partition where Windows is reinstalled. The files and folders remain unaffected in other partitions of your PC. 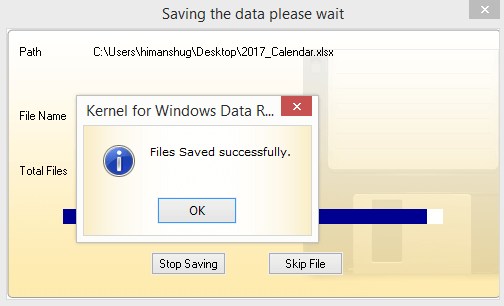 The data resides on your computer hard disk even after you have formatted it. In fact, actual files still reside there until they have not over-written it with new data. 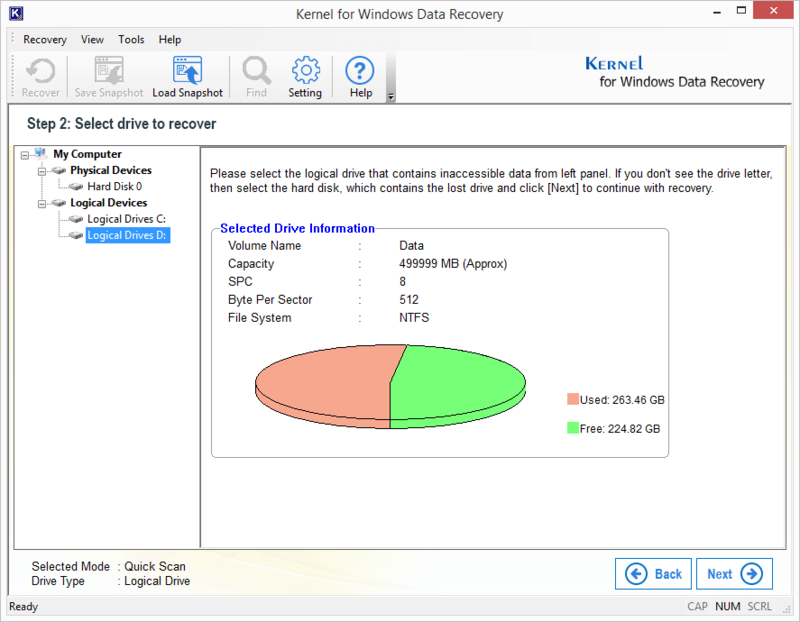 Therefore, you have a chance to recover data after Windows reinstallation. The File History restores files or folders from the backup location. You can restore your files from an externally connected drive like USB or from a network drive. The File History can back up only the files in Photos, Music, Desktop folders, Videos and offline files of OneDrive on your system. 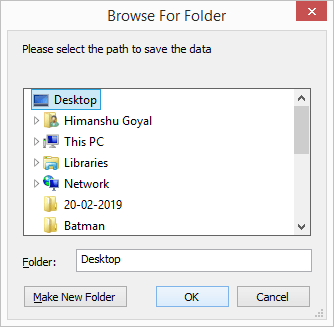 But you can add files to these folders for backup if they are saved elsewhere on your PC. Step 2: Look for the Backup option and recover either with Backup from File History or Looking for an Older Backup option. Step 3: Select required files and restore them. A restore point is used to restore the computer files to an earlier point. It is created automatically by your PC when it notices the change. Also, never backup files on the same drive that is installed with Windows. When you format or reinstall Windows all the data will be deleted. So, it is recommended to store data on other partitions on your system or use external storage media such as external HDD, DVDs or CDs. 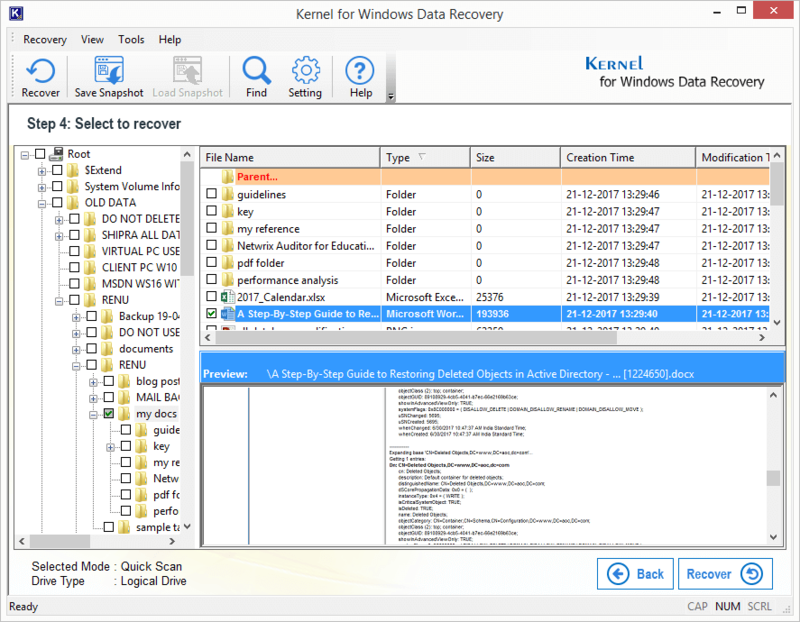 Kernel for Windows Data Recovery is a comprehensive tool that helps you to recover lost/deleted or corrupted Windows data. It is designed with advanced algorithms that allow you to recover every bit of your lost data. Some of the extensive features that it provides are recover data from corrupt hard drives, removable disks, and SD cards, preview data after recovery, etc. Here how you can recover data with the help of this utility. 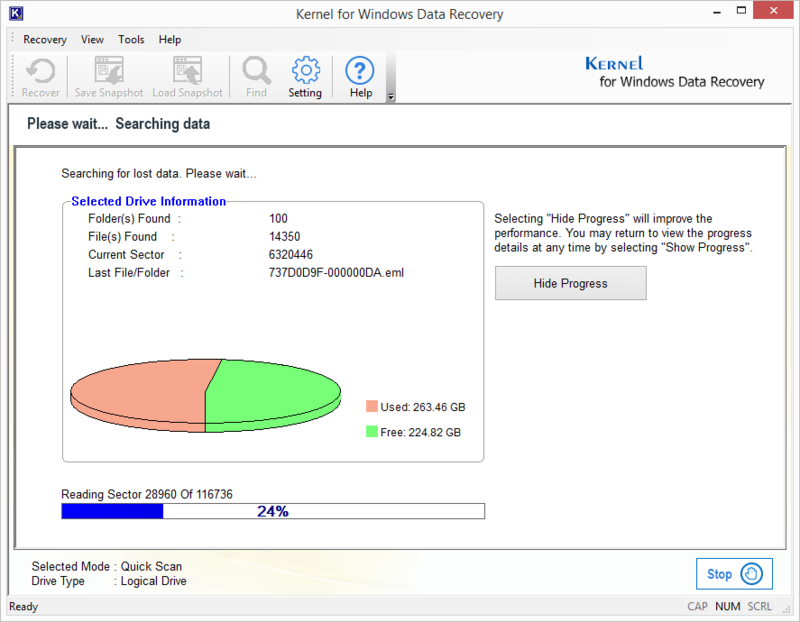 Download and install Kernel Windows Data Recovery software on your system. On launching the tool, select the specific scanning mode for recovering data and click Next. Now, select the specific Disk from which you want to recover data and click Next. You can also select the Hard Disk to retrieve data from the entire Windows System. You can see the scanning process of the disk on the tool. Once it is complete, you’ll be able to see entire data of the specific disk. Select the specific data that you want to recover and click Recover. Select the specific location on the system and click OK.
A notification will appear on the screen confirming “File is saved.” Click OK to finish the process. Recovers all types of Windows files. Retrieves data from external drives like USB, Hard drive, SATA, etc. Shows preview of recovered data in the original format. File filter options to find files of specific format like JPEG, DOC, etc. Windows data and files may not get deleted permanently after reinstalling Windows. So, lost files can still be recovered either using free methods to recover Deleted Files from Windows or an automated Windows data recovery software.